What a waste of food. 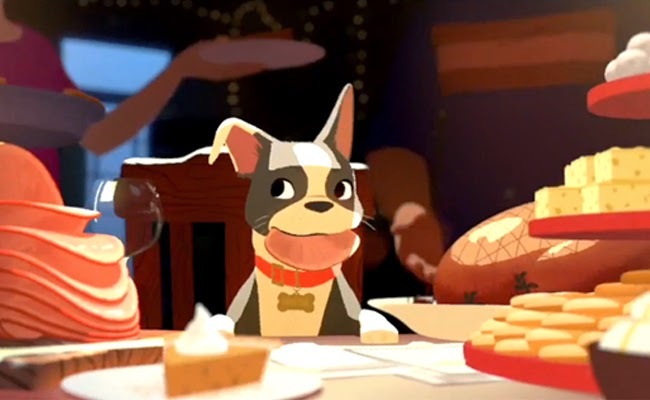 Following the tradition of Pixar shorts preceding a feature presentation, Disney comes out with Feast. 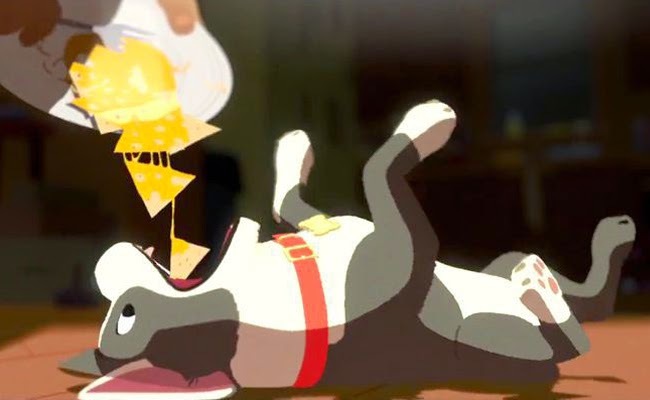 It's a story about a carnivorous man and his carnivorous dog─a win-win situation for both of them. That is until a herbivorous (okay, vegetarian) woman enters their lives, The dog doesn't like it, of course, and when the couple break up, master and mutt go back to their binging. The dog is more than happy to resume an all-meat diet, but the master is not, returning to meat more out of depression than dependence. And he finds out how far his dog will go for him, proving that a dog is indeed a man's best friend. 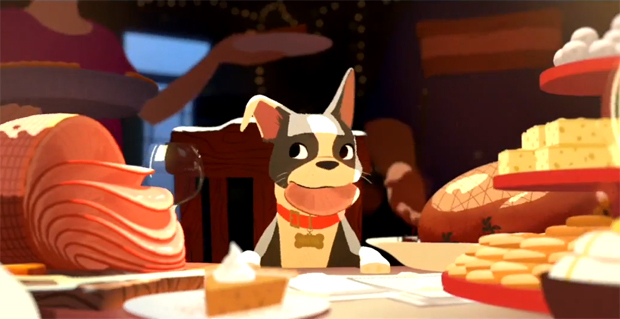 Feast is the accompanying short to Disney's Big Hero 6. Like its predecessors from Pixar, there is also no dialogue, which I think is the standard for animated shorts for both companies. This allows the animators to practise animating body movements and facial expressions instead of worrying how the mouth and lips should open when speaking a certain sentence. And they'll be needing all the practise they can get, as these shorts are the training ground for future directors of full-length features. If you can, watch this in 3D. The original wireframe animation was done with computers but then rotoscoped with traditional hand-drawn animation. The result: a 2D cartoon that pops out like 3D. Actually, I only saw the 2D version, not the 3D one. But I could tell, because I am a big fan of animation and 3D.